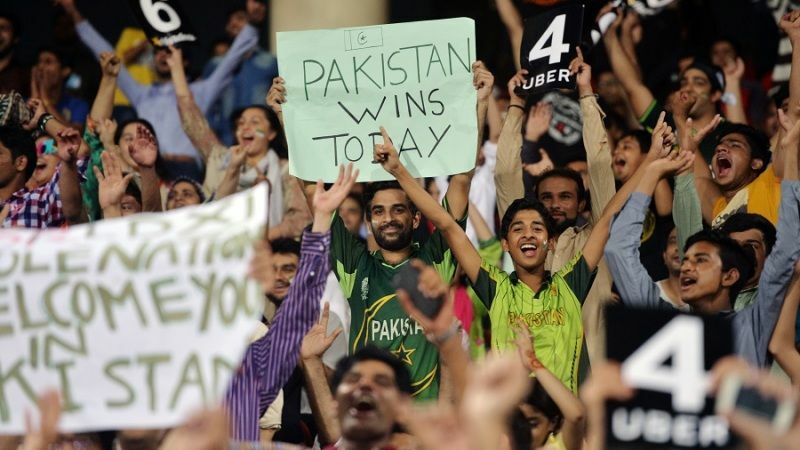 Following a resumption in political tensions between India and Pakistan, the PCB has assured fans that the Pakistan leg of the PSL will take place as scheduled, with Lahore and Karachi hosting a total of eight games. , the PCB chairman, made the announcement after a meeting with all six franchises and other stakeholders at Dubai Cricket Stadium. Over the last few days, in the aftermath of the militant attack in Pulwama in the northern Indian state of Kashmir, India and Pakistan have exchanged hostilities. These events had thrown a question mark over the PSL's Pakistan leg. The UAE leg of the tournament is set to finish on March 5, after which the action will move to Pakistan, with Lahore set to host three games and Karachi five, including the final on March 17. "We want to reconfirm that the PSL matches will all be played in Pakistan as scheduled," Mani told a press conference with five of the six franchise owners by his sid. "I would like to thank my colleagues sitting alongside me for their support. There is no doubt in anyone's mind that PSL will continue with business as usual as we planned and this is a unanimous decision from all of us. "I am also very grateful to our overseas players who are ready to come to Pakistan. All those who had given their commitment from the start are still with us. I am also grateful to all support staff who are working at the ground. We have a few challenges as you know on the production side, with one of our production partners pulling out overnight. But then the team we got together, they made sure that we had seamless transition and now I am absolutely confident that we will be in Pakistan as we had planned." In the immediate wake of the Pulwama attack, the Indian company IMG-Reliance of its deal to produce television coverage of the PSL worldwide. Techfront, owners of the Cricketgateway website, had also pulled out of its deal to stream matches in India, and DSport, the television channel showing the PSL in India, also stopped its coverage. A consortium of Blitz and Trans Group to fill the void. The new production company, however, is comprised largely of the same staff, including Indian nationals working as freelancers based in Dubai. There is still uncertainty over who will travel to Pakistan from the production team in case of problems with logistics for Indian nationals. "We are monitoring the logistics very closely and we are in contact with our appropriate authorities on a day-by-day, minute-by-minute basis," Mani said. "By the time we are ready to move out there won't be any hiccups, and even if it comes through, we will adapt. "At the most we have to readjust a bit but we have a solid commitment that it will be played in Pakistan. There are logistical challenges but we will deal with them and unless anything significant happens there is nothing changing. At a working level, we are in contact with all agencies, but as per our policy, it is our commitment to go back to Pakistan. "If we decide to change it for some reason then I could speak about it. But for now, we are going on with business as usual. There are one or two players who we know had already said no [to going to Pakistan] for other reasons, but those who had confirmed with all franchises have reassured us about their commitments being intact." A few of the overseas players are understood to have raised concerns over growing tensions in Pakistan, but all franchises have said they have the consent of their players. ESPNcrininfo understands the Quetta Gladiators opener Shane Watson didn't make a commitment to go to Pakistan at the very start. Karachi Kings' Aaron Summers, another Australian player, is mostly likely to travel, while one of the biggest names in the tournament, former South Africa batsman AB de Villiers, will play two matches in Lahore for Lahore Qalandars. "Whatever is happening in Pakistan it's the same in India as well," Mani said. "But we have no doubt on our side that we cannot do this. So far we don't see anything that will make us change our decision. Cricket is happening all over the subcontinent and it will go on as usual. Also, I don't think I will need to talk to the [PCB] patron (Pakistan prime minister ) about taking this decision because whatever was in our plan, we are just abiding by it. (The) Patron just has a wish that we should get as many matches as quickly as possible, in Pakistan."